Italian Language Classes in OC for all Ages Now Open for Enrollment! 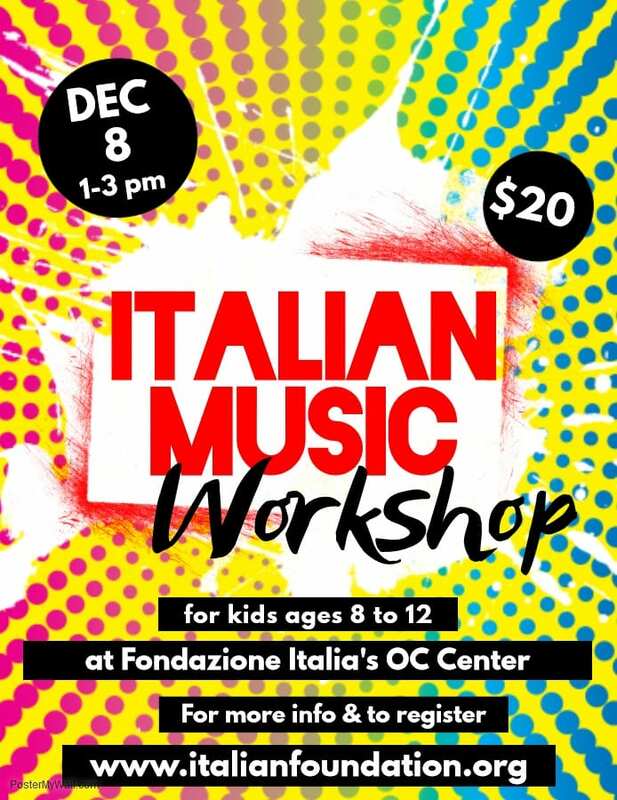 This music workshop conducted by Italian music teacher, Marco Bazzi, is based on Italy’s “Project 28” program that espouses teaching music through listening, the practice of drawing and creative image processing, sound painting, sound cartoons, silent cinema, and games. The objective of Project 28 is the development of a capacity for attentive listening and free and creative re-elaboration of the sound as the foundations to explore traditional musical language. In this workshop geared to kids ages 8 to 12 years old, students will participate in music activities that express the value of sound and will discover the evocative power of music through pictorial and linguistic association. Students will transform everyday objects (pencils, books, desks) into instruments and learn that music is all around us. All proficiency levels welcome. Workshop will be taught in Italian and English. Leave your kids with Fondazione Italia and go do some holiday shopping! 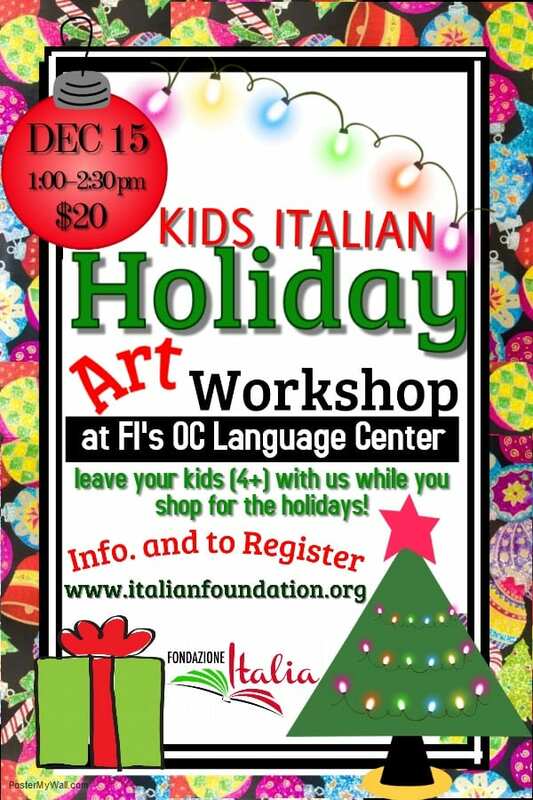 Led by Italian art teacher, Ylenia Mino, children ages 4+ will be inspired to create holiday art and make arts & crafts gifts. Activities will be presented in Italian and English. Your kids will be learning Italian through creativity! Materials included in workshop fee.